Earn money by sharing your knowledgeWe’ve paid out more than $3.4 million to contributors like you! Help millions of students study smarter. You've worked hard in class—don't let your masterful study guides go to waste. 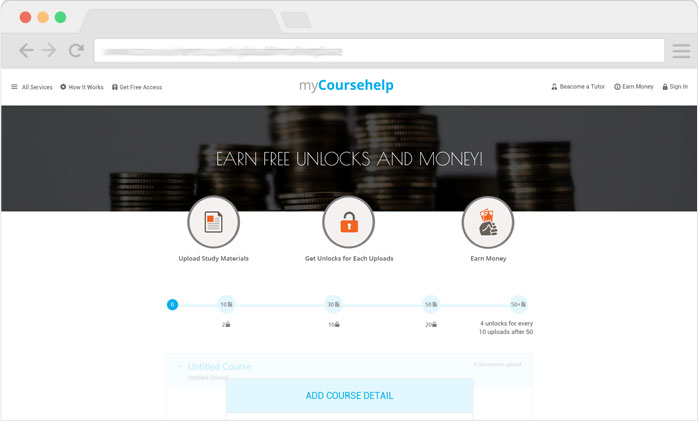 Imagine earning both free unlocks and hundreds of dollars each semester just by uploading your original study materials. We get millions of visitors every month who are looking to pay for helpful study resources. Have you ever tutored or even just created practice problems to study? Share your smarts and make money in the process! Your Q&As can help others learn. Post your original questions with detailed answers or answer existing questions posted by students. Join our team of online tutors and earn thousands of dollars teaching students around the world. Work on your own time, build a reputation, and get promoted! 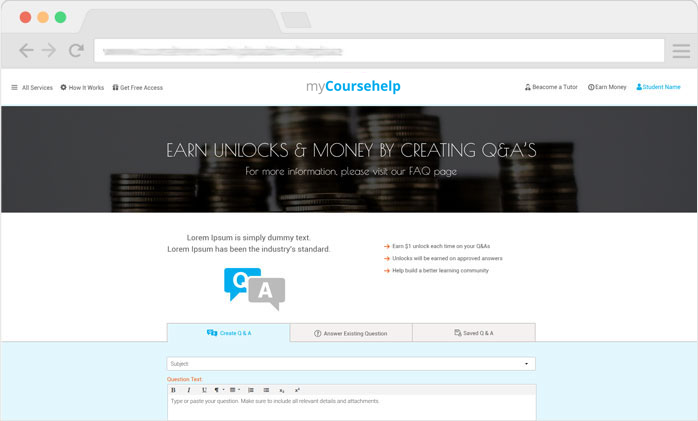 By providing awesome step-by-step explanations, you'll earn money for your answers and get repeat business directly from students.